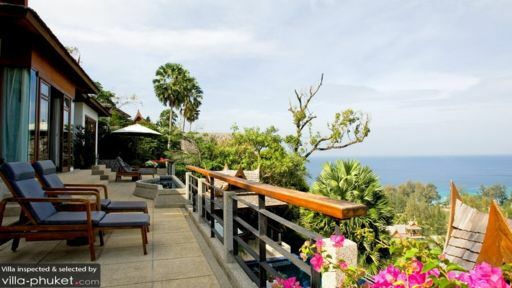 Villa Apsara sits on an enviable location in Laguna, near Bang Tao beach. 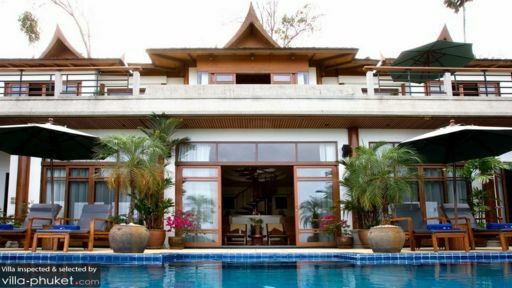 The villa has been designed in a fusion of Indonesian and Thai styles and decked out in contemporary fittings for a truly unique experience. 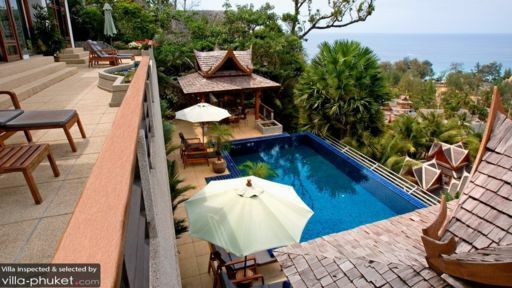 There are 4 bedrooms in Villa Apsara. One bedroom has a King sized bed, two have twin beds, and the last bedroom is located in a self-contained private garden suite, with a sofa bed. The living and dining areas are elegantly furnished with dark wood furniture and decorated with tasteful pieces of art. The dining area is next to the fully equipped kitchen and has a dining table that seats 8. There is also an outdoor dining table that also seats 8. The villa also features a lovely 10m pool and Jacuzzi. The poolside deck has plenty of sun beds for guests to lounge around with, as well as a shaded sala. There is also an outdoor entertainment area with bar and BBQ facilities. A magical time awaits at Villa Apsara!